When you need help with electrical services in Hagerstown, depend on the experts right here at Larry & Sons. Working with electricity on your own is extremely dangerous when you do not have the proper training and tools, even if it seems like a simple project. Electrical repairs and installation should always be left to a professional electrician in Hagerstown MD, and we are here to help. At Larry & Sons, we employ and train only the best electrical technicians in the Hagerstown are. We deliver high-quality electrical services to homeowners in and around Hagerstown, Maryland, and we are equipped to tackle projects of all sizes and scopes. We adhere to the strictest standards of excellence in workmanship and customer service, and whether we’re tackling a simple project like replacing an outlet or something more complex like rewiring your home, you can depend on us to get the job done right. 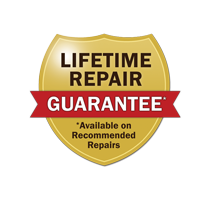 As your electrician in Hagerstown MD, you can depend on us to complete your service to the highest standards. We provide top quality workmanship, and we take safety seriously. 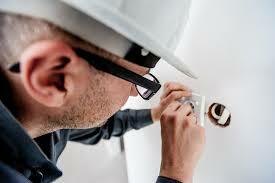 All electrical projects are performed in the proper, safe manner, and our technicians are bonded and insured. Your home’s electrical system is complex, and trying to work on it on your own can be extremely dangerous – even deadly. Never risk trying to tackle an electrical project by yourself. At Larry & Sons, our technicians can handle any project, no matter how big or how small. If you are in need of an electrician in Hagerstown MD area, please contact us today by calling 301-733-5428.